The challenge: Feed a staff of 30 for a work breakfast – in under $30. Did I mention this was a nonprofit? The solution: It had to be home-made granola. Well, maybe it didn’t have to be, but it was awfully frugal of me and I had been wanting to try making granola for a long time. It’s a DIY project, no doubt about it – something you can definitely pay to avoid. But if you’re feeling crafty, or don’t feel like going over-budget, this is a hugely rewarding and very delicious effort. Making your own granola also allows you to control what goes in – doing things to your liking and not making it too sweet. Of course when this idea first came up, I immediately called Joni (the baker extraordinaire on this blog). Of course she had a recipe for granola that used no sugar – really, no sugar, replacing it instead with honey and maple syrup. I was pretty skeptical that this would turn out like cardboard, but it was completely and totally delicious. Nutty, flavorful, salty-sweet – everything you really want and need out of a granola. And it only set me back 12 bucks, which left plenty for yogurt and fruit. This recipe is just the base formula – you can experiment all you want with nuts, dried fruits, and other fun add-ins. 2. In a large bowl, mix oats, coconut, almonds, salt, and cinnamon. 3. Heat the oil, honey, and maple syrup in a small saucepan over low heat until combined. Pour the honey mixture over the oat mixture, add the vanilla, and stir until combined. Spread the granola on a baking sheet lined with parchment paper or a Silpat. 4. 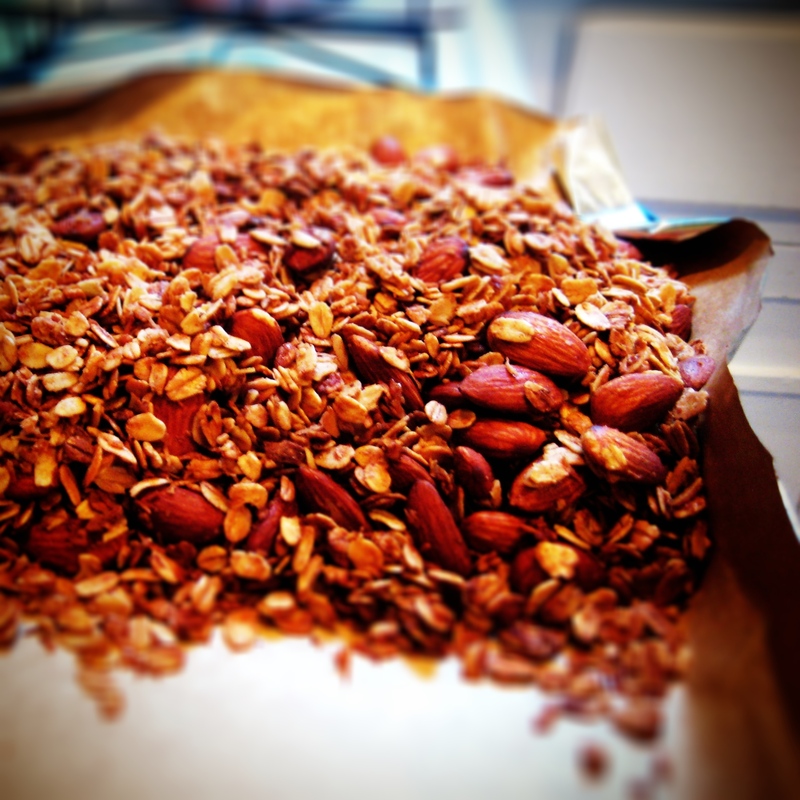 Bake the granola, stirring every 10 minutes, until golden and aromatic, 25 to 40 minutes. If you have a crummy oven that you suspect is below the desired temperature (been there), you can raise to 325°F, but watch that granola like a hawk. Stir in dried fruit if using and push the granola to one side of the pan to allow the granola to stick together in clusters as it cools (as seen above). 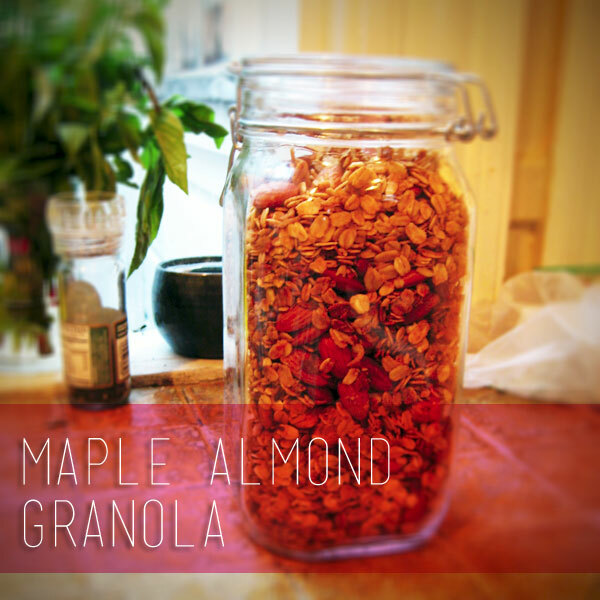 Keep the granola in an airtight container for up to 1 month – or serve to a very happy group of coworkers on Monday.